This great home at 25661 Almendra Drive, Valencia, CA 91355 is located in the popular starter home Sunrise tract in the Valencia 1 neighborhood. One of the many homes for sale in Santa Clarita CA. it has 3 bedrooms and 2 baths and 1018 square feet. This home is located off McBean Parkway and Valencia Blvd in Santa Clarita CA. It is close to Santa Clarita biking trails & Valencia paseos, parks, and the the recreation area pool. The Sunrise homes are attached by one wall but have a front and back yard and attached garage. Super home if you are interested in Valencia CA real estate and need an affordable entry level home with a yard. So come check out this new listing added on 03/03/2014 in the Valencia CA real estate area of Santa Clarita CA. Please call or text Pia Soper, 661 645 5556 to view this home or other homes available. Three bedroom two bathroom home located in the beautiful Sunrise Tract in the Santa Clarita Valley. Community includes parks, and community pools. Third bedroom is currently set up as Den with no closet but could be made into a full bedroom. Home has a private yard, and two car garage. 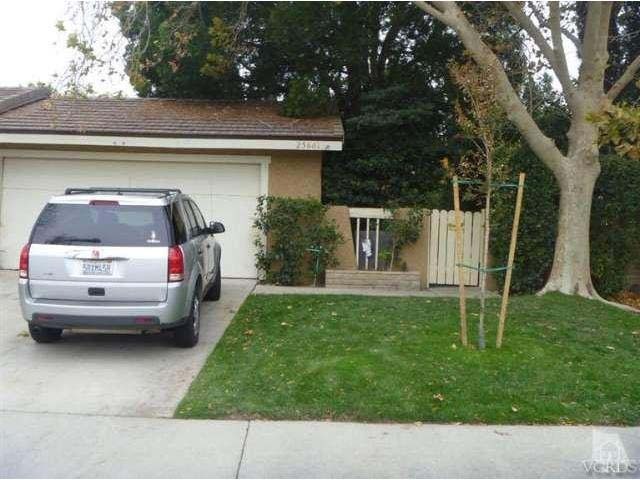 This Valencia CA attached home for sale at 25661 Almendra Drive, Valencia, CA, 91355 is located with great access to the Golden State Freeway, parklands, and shopping. This is a probate sale.